Two of the best PlayStation 2 games, Ico and Shadow of the Colossus, are also two of the best candidates for a God of War Collection-style upgrade for the PlayStation 3. How might those high-definition ports look? 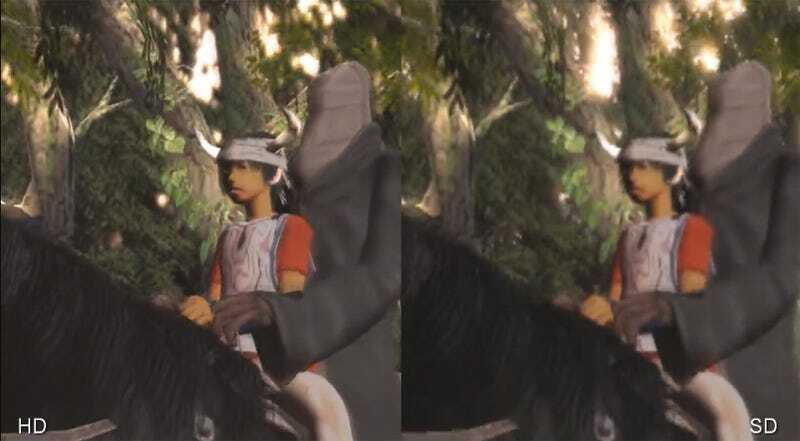 Eurogamer and Digital Foundry have the answer, compiling a sharp side-by-side comparison of two of Team ICO's titles running in their PS2 original form and emulated in high-definition via PCSX2. It's pretty much everything you want Team ICO's pre-The Last Guardian efforts to be—exactly the same but in higher resolution and with a solid frame rate. Team ICO lead Fumito Ueda wants the Blu-ray bundle of Ico and Shadow of the Colossus to happen, Sony seems open to it and all we really need now is for someone to announce it at E3 2010 alongside a date for The Last Guardian. Make the wait shorter by watching Digital Foundry's HD fantasy in action.